Staying active is just as, if not more, important to those living with physical disabilities as it is to those without. Not only does staying active promote better physical health and help prevent further complications arising from one’s disability, but it also provides a boost to one’s mental health. There’s nothing like exercise and enjoyable activities to improve one’s mood. But how do you get this physical activity? If you live with a physical disability, are you confined to swimming laps at the pool, or casually walking around the neighborhood? Of course not. In fact, people with disabilities can participate in the excitement of “extreme” sports and activities. With the help of modern technology, service dogs, and various organizations devoted to helping the disabled stay active, you can put the thrill back into your physical fitness routine. Your disability should not keep you off the ski slopes. 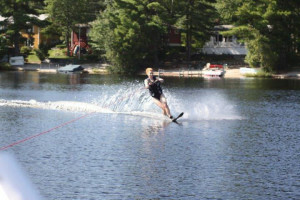 Skiing is a wonderful activity that improves balance, coordination, and provides a serious amount of aerobic exercise. With adapted skiing, the disabled can experience the thrill and benefits of skiing while minimizing risk. In fact, my best friend, who lost his leg in a car accident a few years ago, is still hitting the slopes. He is also passionate about getting others with similar issues to do so. 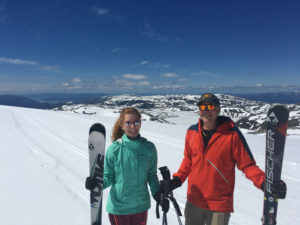 “Adapted skiing requires intense upper body strength, dexterity and reaction times, and can provide one of the most exhilarating experiences available on this earth. So it’s only natural that people with various bodily injuries and disabilities would want to find ways to start or to continue to enjoy this beautiful adapted sport,” notes Disabled Sports USA. 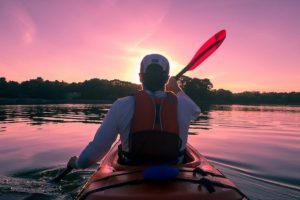 Some of the most enjoyable sports out there involve paddling down a river or lake, and they are perfect “extreme” sports for those with disabilities. Most canoeing, kayaking, and rafting vessels can be upgraded to group or tandem models, which allows those with disabilities to safely participate with the help of friends and/or a guide. 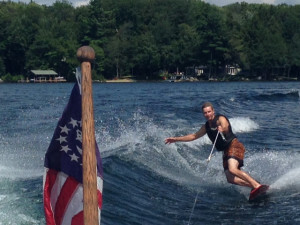 Even those suffering from visual impairment can safely participate in watersports due to this. “Rock climbing is a powerful tool in building confidence and reachable goals. It demonstrates how a successful climb is the result of fundamental teamwork. Climbing is not only a fun and challenging sport, but provides tremendous health benefits by improving strength and flexibility,” notes Abilities.com. There are plenty of adaptive technologies out there for those with disabilities who wish to get into rock climbing. These include adaptive harnesses, ascending devices, and foot and knee prosthetics. For those looking to add some firepower to their activity list, there’s always hunting, sharpshooting, and archery. Modern technology can assist those who are unable to shoot using traditional means, and various organizations provide opportunities and support for the disabled. 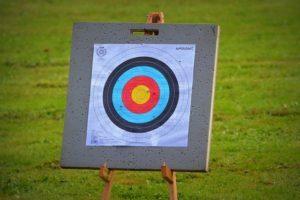 For example, the United Foundation For Disabled Archers has been working for over 20 years to give disabled people the opportunity to live out their bow-hunting dreams. You’ve surely heard of wheelchair basketball and wheelchair polo – both of which are rather self-explanatory. But those in wheelchairs can kick their sporting up a notch if they wish. Did you know that there are communities devoted to things like wheelchair skateboarding and even wheelchair parasailing? Where to ski this summer? July 8, 2016 / Family Ski Trips / Comments Off on Where to ski this summer? 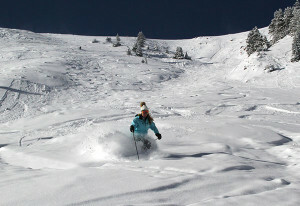 Two resorts are open in North America : Timberline, Ore., and Whistler Blackcomb, B.C., Canada. The open terrain on Whistler’s glacier is primarily for training, but it does have a small open-to-the-public park. Timberline is currently spinning three lifts to access a park and a pipe. Mammoth Mountain in California wrapped up its season on July 4. 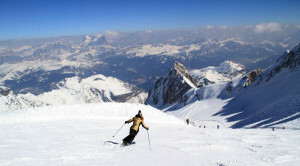 For summer skiing in Europe, several glacier-skiing resorts are operating with respectable snowpack. 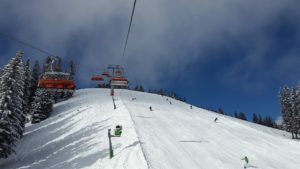 Austria has three resorts open, including year-round Hintertux, which has the deepest snow in the alps with a base of just over 92 inches and is reporting “old snow” as the surface. U.S. national team members have been training there recently. Dachstein and Kitzteinhorn glaciers are also open with similar conditions. France’s three glacier ski areas are reporting the best July snow conditions in years, with base depths measuring about six feet—roughly four times what they were last year at this time. Les 2 Alpes and Tignes plan to be open through most of August. Val d’Isere was the first area to open, but will likely be the first to close with reports calling for July 10 to be the final day. 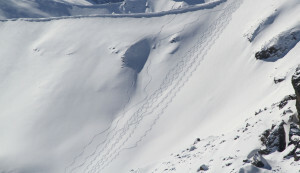 Passo Stelvio in Italy is reporting “gripping” snow accessed by all six of its lifts. Cervinia in Italy re-opened at the end of June after a steady dose of fresh snow. It’s reporting a base depth of more than six feet on 12 miles of trails. 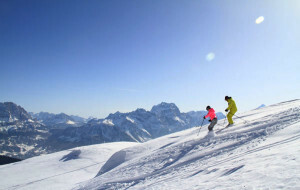 It’s possible to enjoy cross-boarder skiing from Cervinia to Zermatt in Switzerland, Zermatt as only ski area open in Switzerland isis reporting excellent July conditions. 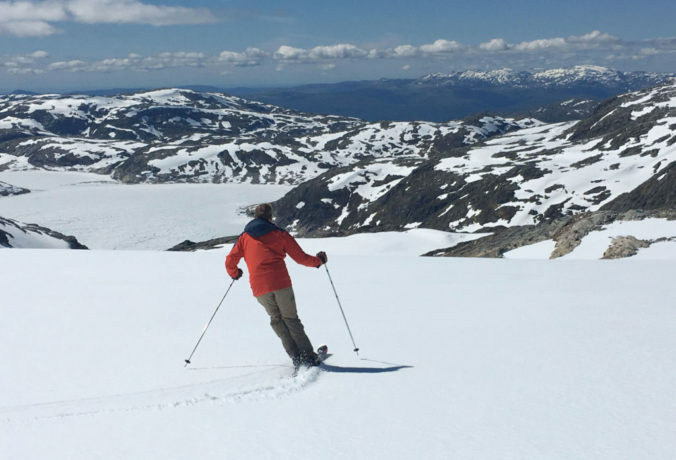 Norway’s three glacier ski areas have no shortage of snow, with base depths measuring as much as 23 feet. Despite having plenty of white stuff to enjoy, Stryn plans to close July 19, but Folgefonn and Galdhoppigen should stay open into August. Fresh snow in Australia after a slow start to the season fell on the Ausie mountains end of June, allowing every resort to open for the season, with more snow at Thredbo in July. The forecast is calling for cool temps and at least a chance of snow at higher elevations every day through the weekend, so look for more terrain to open as snowmaking continues. It’s the opposite story in New Zealand, however. 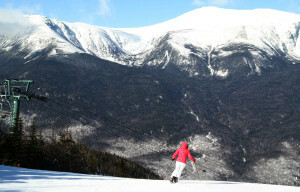 After a great start, warm fronts have melted snow cover and hindered snowmaking efforts, only a few resorts are open. The Remarkables, Cardrona, and Mt. Hutt are the only three resorts open for skiing on a fraction of their terrain. Coronet Peak is spinning a lift for scenic rides. The story is similar in Argentina where early snowfall allowed some resorts to open earlier than expected, followed by a drought, according to reports, and only Las Lenas and Catedral are open. Las Lenas has a max base depth of 47 inches on 10 trails, and Catedral is reporting a max depth of 3 inches on six trails served by just six of the resort’s 36 lifts. 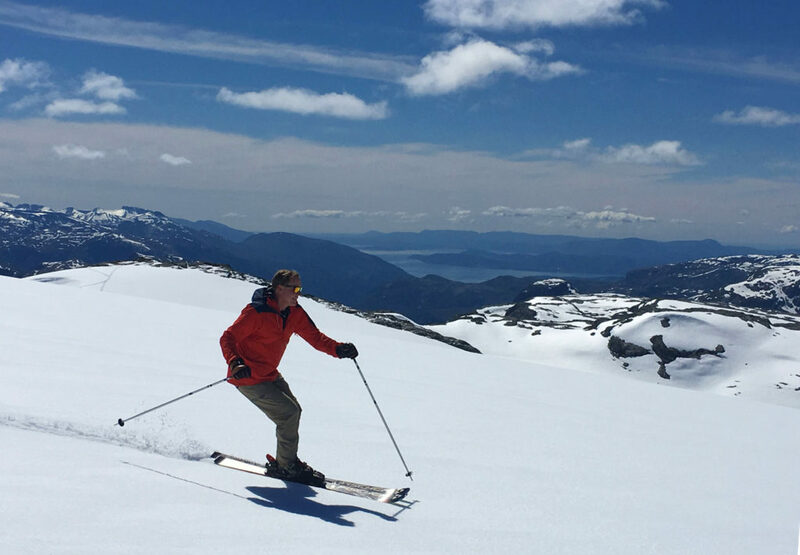 Resorts in Chile got about 10 feet of snow in early,t more than half of the nation’s ski resorts are open including Valle Nevado and La Parva, each sporting base depths of nearly 60 inches. South Africa’s Tiffendell’s slopes and all but Afriski’s slopes are open for skiing and riding. It’s still early winter south of the equator, and forecasts are calling for things to cool down over an extended period of time across many of the mountainous areas throughout the Southern Hemisphere. To quote John Snow, #winteriscoming so enjoy the summer, or go find snow at these ski resorts! 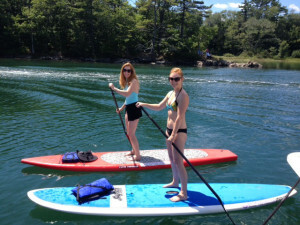 Me, I am enjoying SUP Paddleboarding, water skiing and boating till November. See you out on the h20.